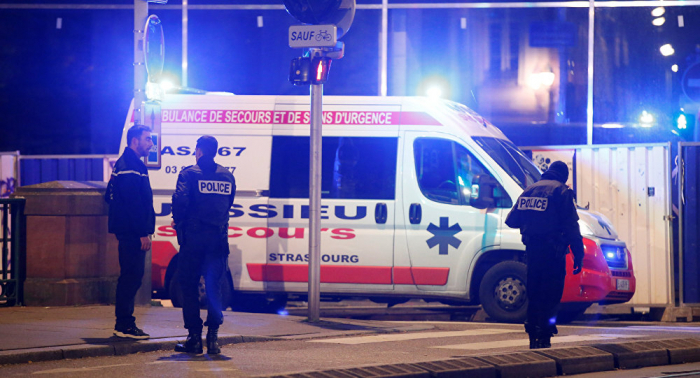 Seven people closely linked to Cherif Chekatt, the suspected attacker in the Strasbourg Christmas market shooting, have been taken into custody, Paris prosecutor Remy Heitz said. "At the moment, seven people are in custody. Four members of his [Chekatt’s] family were detained on Tuesday and Wednesday. And three people from his inner circle were taken into custody yesterday morning and tonight," Heitz told a press conference. He stressed that the investigation into this case would be continued to find possible accomplices of the criminal. The statement comes after an attacker opened fire on 11 December at the Christmas market leaving three people killed and over 12 other people injured. The gunman was identified by police as a local resident, Cherif Chekatt, 29, who had been known to the law enforcement for previous offences. Late on 13 December, the French interior minister confirmed that the suspected shooter had been killed by police after two days of searches.